I’ve been itching to purchase a new fountain pen as my Cross was starting to look a bit tired. 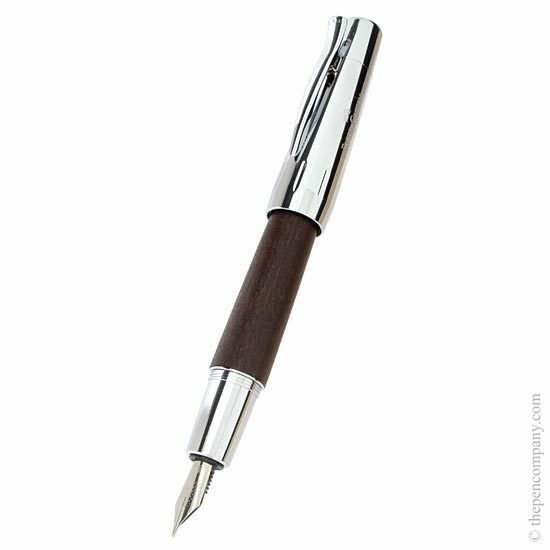 I looked at a few Montblancs in the London store as they’re apparently one of the best, but I couldn’t justify spending £360+ for what was basically a plastic pen! They certainly have some well-paid marketing monkeys. 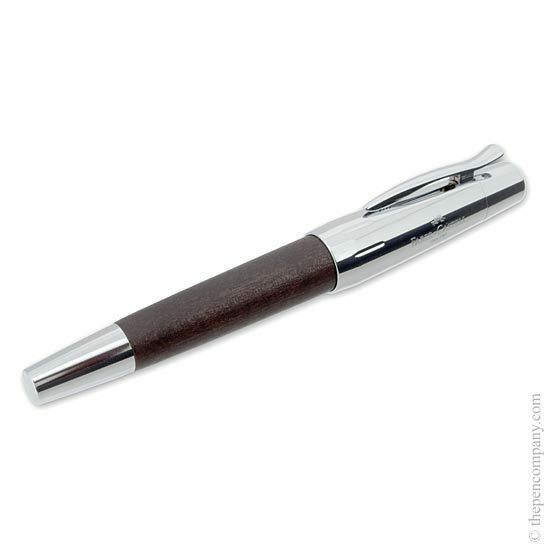 After hunting around the PenCompany website, I ordered the Faber-Castell E-Motion fountain with the black pearwood barrel and fine nib width. As I chose the fine nib width, the ink comes out much lighter, but the flow rate is agreeably consistent, and doesn't bleed on your standard office 80gsm notebooks. The body is fairly heavy and has a lovely chunky feel. I have huge hands so it doesn't bother me. I tend to post as I have a phobia of pens rolling off the sides of desks. 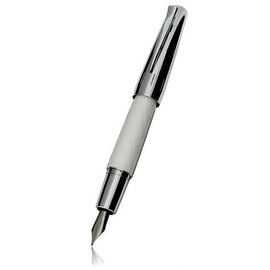 However, this pen doesn’t like to be posted (although it can be done with force), so you're stuck holding the cap or putting it on the table - this is the only reason I haven't given it 5 stars. But I do love the screw cap. On a separate note, the processing and delivery times were exceptionally good from The Pen Company. I ordered at about 3pm on a Wednesday, and the pen was at my house by Thursday evening when I got home. Bought as a leaving gift for a talented copywriter. 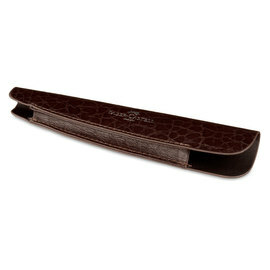 Nice packaging, and the pen looks lovely, beautifully finished. 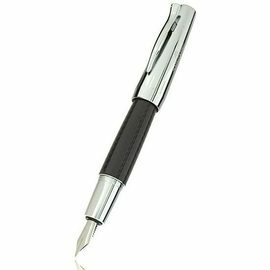 Personally haven't used a fountain pen since leaving school all those years ago, but I suspect I'll be getting one for myself in the near future as having seen and held it, the office supplied fine point pens just seem that little bit more cheap and disposable. I have now written about 6000 words with this fountain pen. I own a number of other fountain pens ( Parker, Cross, Pelikan, Visconti) and I must say that for the price it is a very nice pen. 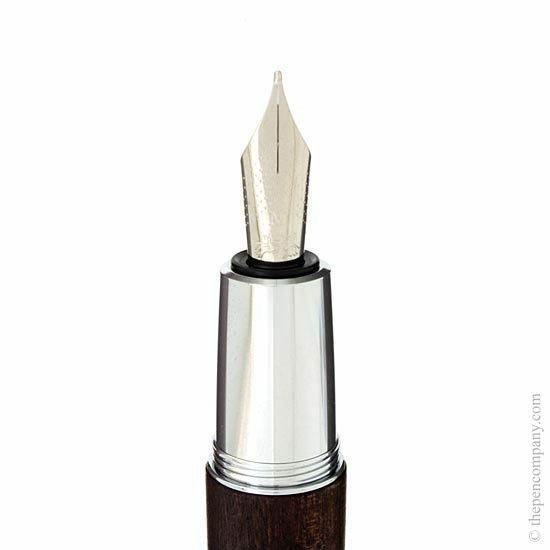 The fine nib sets the hand quickly. AFter that it writes quite comfortably. 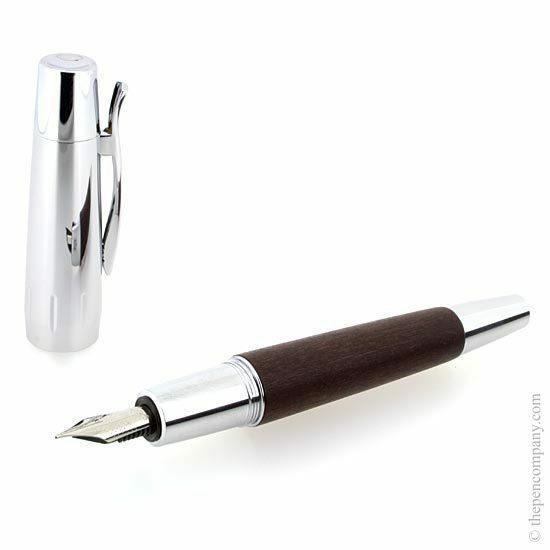 I compare it to my Montblanc Meisterstück nib which is 3 times as expensive. The best ink for to use is Cross ink. I do not recommend Montblanc ink: it is overrated and seems to clog the pen. 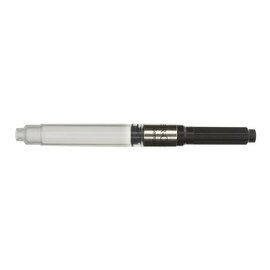 The body of the pen is weighty in the middle which gives it excellent handling. It feels very solid and well made. 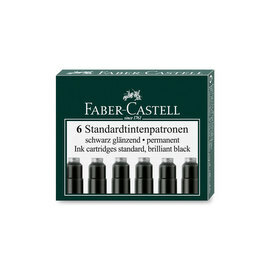 The cap in nicely engraved with the Faber-Castell name and logo (Jousting knights). It cleans easily and comes up spotless after cleaning. I thoroughly recommend this fountain pen!! !